Daisylane Cavaliers - Cavalier King Charles Spaniels An active, graceful, well-balanced dog, very gay and free in action; fearless and sporting in character, yet at the same time gentle and affectionate. Welcome to Daisylane Cavaliers. This site was created to help educate you about Cavalier King Charles Spaniels, a delightful small family dog. A Cavalier is a beautiful dog which also needs to be sound of temperament and health to ensure the continuation of the breed. A conformation title (CH) ensures that the breeder is conforming to the breed standard. An obedience title (CD, CDX, UD, UDX, OTCH) or therapy certification ensures the temperament of the Cavalier. An agility title (NA, NAJ, OA, OAJ, AX, AXJ, MX, MXJ, MACH) ensures the structure, without good structure a dog cannot achieve high level agility titles. 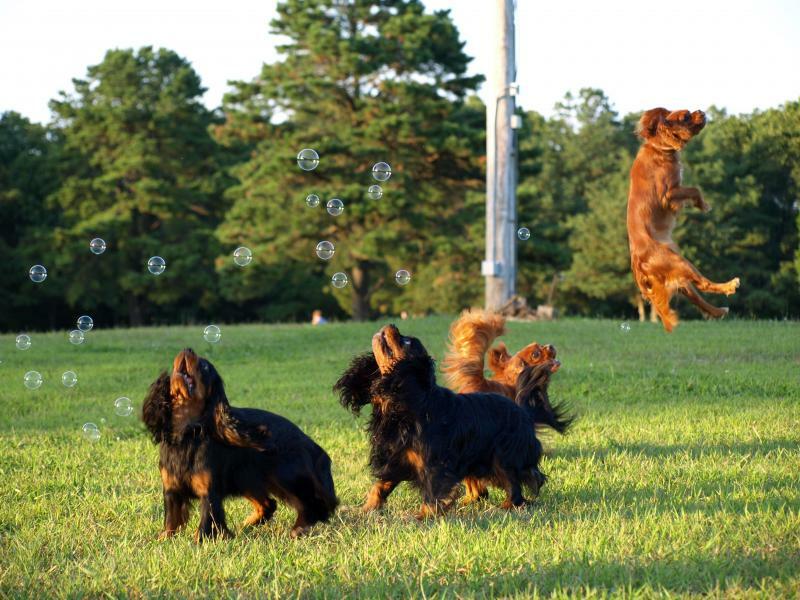 Events such as conformation, obedience and agility, help to define and prove the standard of the breed. Health testing performed by certified veterinarians specializing in cardiology, orthopedics and ophthalmology (ACVO) ensures the continued health of the breed. As a breeder, one must have specific testing such as eye exams, heart exams, hip x-rays and patella exams performed on their breeding stock to reduce the possibility of the continued genetic problems in the breed. Health specific certifications are issued by the Orthopedic Foundation for Animals, Canine Eye Registration Foundation and Penn Hip. Only certifications from these accredited organizations should be accepted as insurance of health clearances for any canine genetic diseases and disorders. An active, graceful, well-balanced dog, very gay and free in action; fearless and sporting in character, yet at the same time gentle and affectionate. Welcome to Daisylane Cavaliers. 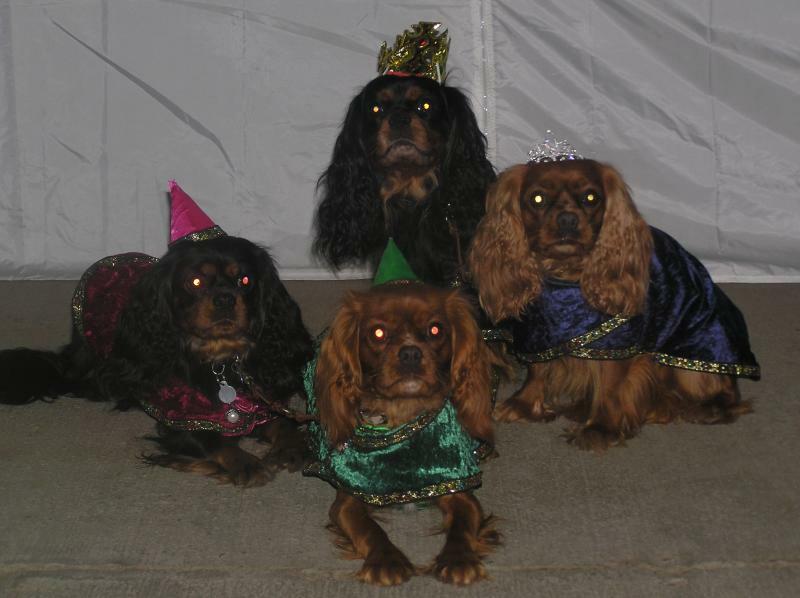 This site was created to help educate you about Cavalier King Charles Spaniels, a delightful small family dog. A Cavalier is a beautiful dog which also needs to be sound of temperament and health to ensure the continuation of the breed. 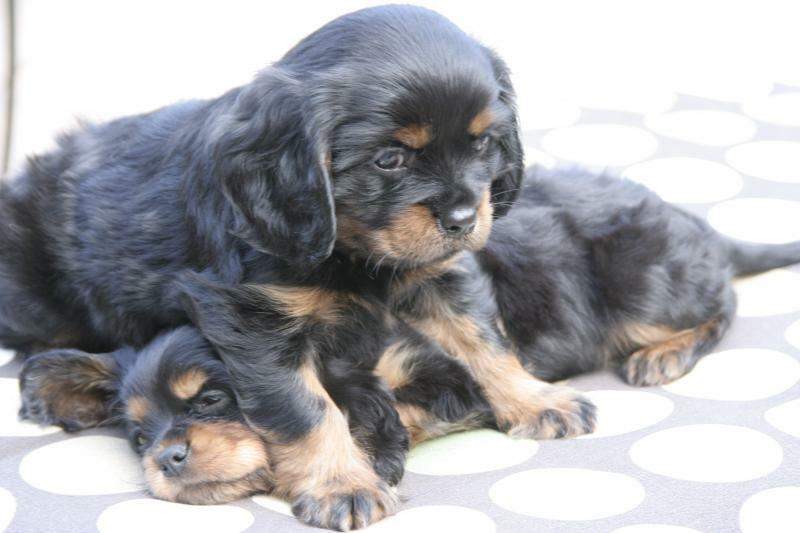 A conformation title (CH) ensures that the breeder is conforming to the breed standard. An obedience title (CD, CDX, UD, UDX, OTCH) or therapy certification ensures the temperament of the Cavalier. An agility title (NA, NAJ, OA, OAJ, AX, AXJ, MX, MXJ, MACH) ensures the structure, without good structure a dog cannot achieve high level agility titles. 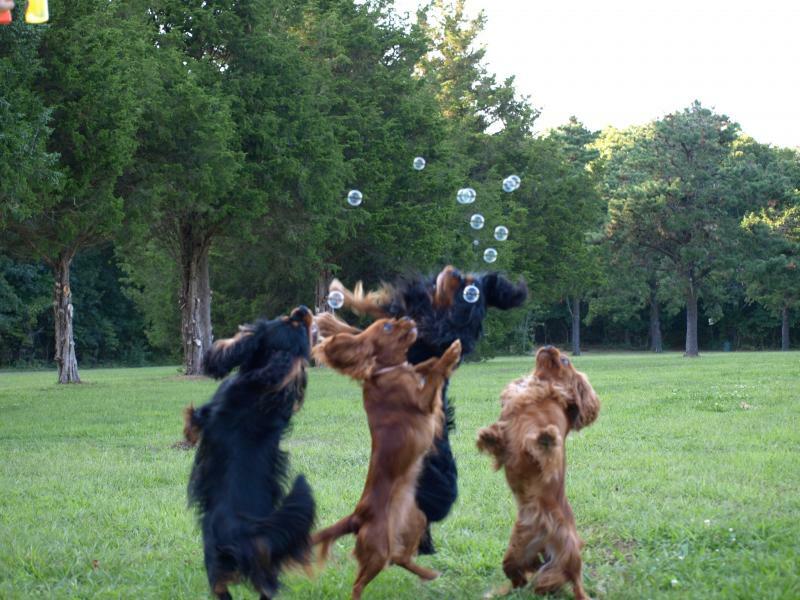 Events such as conformation, obedience and agility, help to define and prove the standard of the breed. Health testing performed by certified veterinarians specializing in cardiology, orthopedics and ophthalmology (ACVO) ensures the continued health of the breed. As a breeder, one must have specific testing such as eye exams, heart exams, hip x-rays and patella exams performed on their breeding stock to reduce the possibility of the continued genetic problems in the breed. Health specific certifications are issued by the Orthopedic Foundation for Animals, Canine Eye Registration Foundation and Penn Hip. Only certifications from these accredited organizations should be accepted as insurance of health clearances for any canine genetic diseases and disorders. Fun & Games, Always a Thrill. All dressed up for the Halloween Party. The Royal Family took first place. Even when little Summer shows off her flying skills. Big sister Summer watching over her little brothers. This site is under construction, please excuse the limited information. More to come soon.